The Poster Monday spot of the day goes to Behnam Raeesian from Iran for his poster entitled “Online/Attendance Teaching Courses of Poster Designs by Behnam Raeesian”. 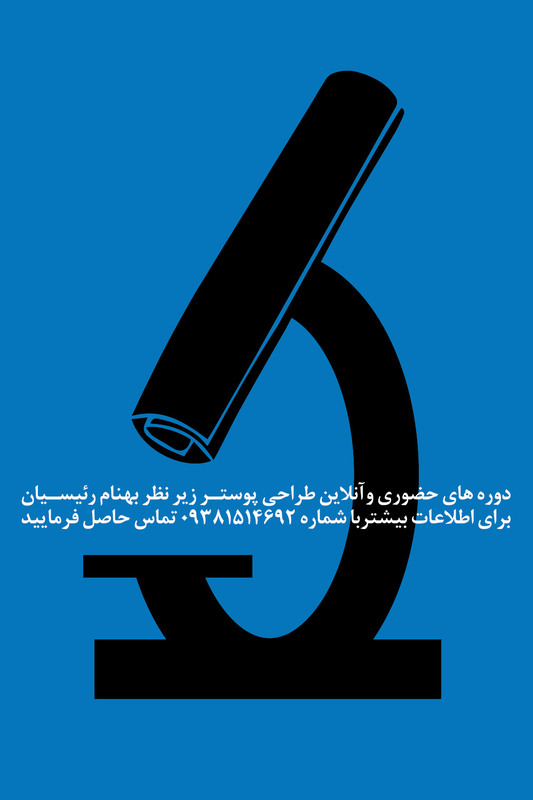 Behnam is a Poster Designer and teacher and a member of Union Designer. “Poster is my life; every successful person has a goal in life, and I, like other friends, have chosen a single goal in my life. To accomplish my goals, I am developing a poster for 8 years, which says that I have left my first half of life” says Behnam. The poster “Online/Attendance Teaching Courses of Poster Designs by Behnam Raeesian” is conceived for telling us what is behind the act of teaching how to design posters. Behnam believes that the poster acts like a microscope, such as a device that is able to see objects and shapes that can’t be seen with the eye, the most detailed topics are the most minor beliefs. The posters will be the most realistic details of our life. Poster is like playing, a musician performs his own song, after which you write poetry on poetry, a series of nine lyric poetry writers, and the newborn makes music poetry based on it, choosing the title at the beginning and end of the coin is a choice with my students. I teach both students in my courses in both ways. “As a teacher of my students, I try to raise the students’ perceptions of the visual perception of the posters, not just the poster, but also the perception of the posters, and I am instructing them to engage with them on a daily basis” says Behnam.